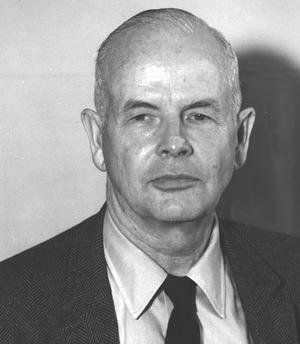 William Morgan was an American astronomer who, with Philip Keenan (1908–2000) and Edith Kellman (1911–2007), introduced stellar luminosity classes and developed the Morgan-Keenan classification of stellar spectra. With Donald Osterbrock and Stewart Sharpless he demonstrated the existence of spiral arms in the Galaxy using precise distances of O and B stars obtained from spectral classifications. Morgan helped originate the UBV system of magnitudes and colors, and, with Nicholas Mayall, developed a spectral classification system for giant galaxies. After three years of undergraduate study at Washington and Lee University, Morgan joined the staff of the Yerkes Observatory, where he spent his entire career, including three years as director. While at Yerkes he earned bachelor's and doctoral degrees at the University of Chicago. Eschewing theory, his research focused on morphology – the classification of objects by their form and structure.